The case of Coffey v. Shiomoto involved a woman who was arrested for DUI, pleaded guilty to “wet reckless” (a lesser charge available in California, where this case originated) and then fought to have her administrative license suspension vacated. Similar to what happens in Florida, a person arrested in California for drunk driving will automatically have his or her license suspended. Challenging license suspension is done through the Department of Motor Vehicles. In this case, what she argued was the theory of rising blood alcohol as a defense. It’s based on the knowledge that there is a time lapse between when someone consumes a drink and when the alcohol from that drink becomes fully absorbed into the body. What this means is that a person may consume alcohol, get in a motor vehicle and be under the legal limit to drive. However, as time wears on, and while they continue to drive, their blood-alcohol may exceed the legal limit. Of course, it is illegal to drive drunk regardless, but this is particularly an issue in cases where people are borderline over the limit or where they may cross certain thresholds that could increase criminal penalties (a 0.15 percent BAC, for example, will result in heightened penalties for drunk drivers in Florida). If a person is borderline over the legal limit, but rising alcohol was a factor, it could mean the driver was not in fact over the limit at the time he or she was behind the wheel. Breath alcohol tests, as we all know, don’t always give us the most accurate measure. Here, plaintiff (referred to as such because she was the one petitioning the court for removal of the suspension) was pulled over after an officer noticed her weaving through traffic while driving 60 mph. After the officer activated his lights, the vehicle did not stop right away, though the driver did eventually comply when the officer used his public address system to instruct her to pull over. She then underwent a series of field sobriety tests, and performed better on some than others. She then submitted to a breathalzyer test, which indicated a blood-alcohol concentration of 0.08 (the first test, taken a half hour after she was stopped) to 0.09 percent (the second). Then, when she arrived at the police station, she submitted to a blood-alcohol test, which indicated a BAC of 0.095 percent and then 0.096 percent. 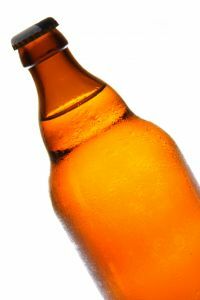 An expert witness for plaintiff asserted this was clear evidence of rising alcohol rate, which would indicate the driver may not have been over the legal limit at the time she was stopped. The hearing officer declined to hear the expert witness testimony, finding it too speculative. Hearing officer affirmed the suspension, and plaintiff appealed. The trial court and later the California Supreme Court affirmed, finding that while the hearing officer did not err in refusing to hear testimony from plaintiff’s expert witness, even if that information had been allowed, it likely would not have greatly impacted the case. The reason was because there was ample other circumstantial evidence that indicated the driver was operating her vehicle impaired. There were the failed sobriety tests. There was the erratic driving, the smell of alcohol, the “implausible” story. Based on all this, the court held, there was enough to find she had been driving under the influence, even if the court had tossed the blood-alcohol test results. Thus, her license suspension was upheld. Although the outcome of this case was disappointing for plaintiff, it’s a reminder of the potential defense options to consider when fighting a DUI arrest.